Chronic pain always negatively affects all areas of human life. No matter what kind of chronic pain is in question, it can seriously affects person’s mood and activities. Chronic back pain is no different and people suffering from it are known to experience anxiety or depression. Their everyday activities also become severely compromised and they can’t sleep or work as well as they once did. Scientists used to believe that changes caused by chronic back pain were only temporary and that they will return to normal when the pain stops. However, some recent studies proved them to be wrong. These studies show that people affected by pain in the back during several months (6 or more months) experience severe and permanent brain changes. These patients tend to age much faster than people without this painful condition, and some were even found to age 20 times faster than average healthy people of the same age. How Chronic Back Pain Affects Brain? 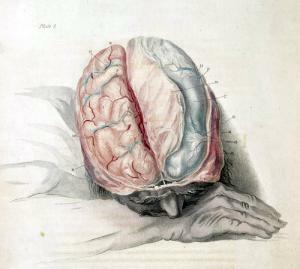 As researchers found out, chronic back pain shrinks gray matter in the brain. Patients suffering from this type of pain can expect to lose about 11% of grey brain matter, which is many times more than healthy people, who lose approximately 0.5% of this matter per year. Scientists explain this fact by the overtime work of nerve cells. When a person is suffering from chronic back pain his nerve cells have to work much harder. The longer the condition lasts the harder it becomes to reverse these changes or treat them effectively. People experiencing chronic back pain are known to have problems with memory and attention, which are both closely related to the amount of pain during the day. Patients usually have less and more painful days and all scientific tests proved they will have much better results when the pain is less prominent. Cognitive problems were found to be present in more than 65% of patients tested on the “pain” days. Short term memory is also affected by the stress caused by chronic back pain. Because of that, patients suffering from this condition are less likely to be able to concentrate or recognize images while in pain. There are a few tips for improvement of memory which can work for patients suffering from chronic pains, but also for anyone else, whether they are in pain or not. Reading out loud and writing down the things we need to remember seem to be the two best ways. Rehearing and periodically reviewing information is also very helpful. Use your left hand if you are right-handed and perform some everyday tasks, like brushing the teeth. You may want to try some neurobic exercises, such as closing your eyes and dressing yourself, or doing something you don’t know anything about. All these activities should be beneficial for your memory. Vitamins B, C and E and omega 3 fatty acids are also helpful for your memory and you should strive to use food naturally rich in these elements.